Comments: A tree with a single stem and large, dark green leaves. 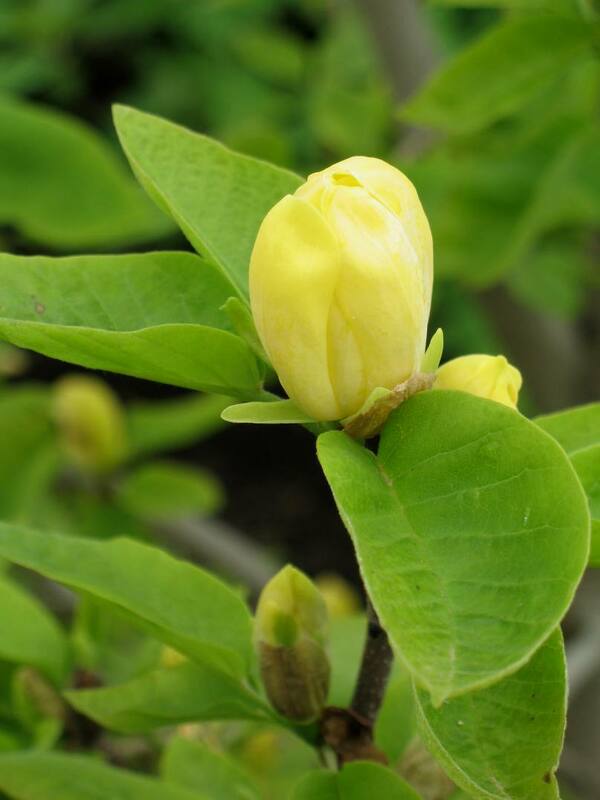 Just as the new leaves come out in spring, upright, yellow, fragrant, cup-shaped flowers come into bloom. Flowering does not occur until the tree is well established and that may be up to 10 years or more. Tis is a Japanese selection of Magnolia acuminata.